Portland has filed suit against Uber Technologies, the ride-sharing company that only recently began operating in the City of Roses. Uber rolled out its UberX service on Friday, explicitly in defiance of the city's warnings that it would fine anyone who drove for the service. One of the major issues regulators have had with Uber in Portland and around the world is its inaccessibility for those with disabilities. The suit hopes to address that, according to politicians in the city. "If Uber thinks taxi companies shouldn't have to serve people with disabilities, they should make their case," a Portland City Commissioner Steve Novick told Oregon Public Broadcasting. "If Uber thinks taxis should not have to have proper insurance in case of a crash, they should tell us why we should allow that." The city has declared that as the case proceeds the company should cease and desist. Drivers will likely continue to face citations if they continue to operate in Portland. 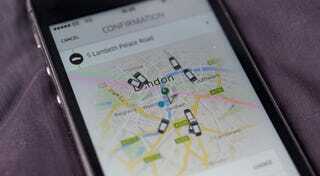 "I am hereby directing that Uber Technologies Inc…. or any other Uber affiliate entity immediately cease and desist operating within the City of Portland until such time as appropriate permits are obtained and Uber is in full compliance with the requirements of Portland City Code Chapter 16.40," transportation Director Leah Treat said in a press release. "Please alert all Uber-affiliated drivers that they are to cease and desist." Previous cease and desist orders, like those issued by the state of California last year have been summarily ignored by Uber. California eventually allowed Uber to operate with certain regulatory measures in place. We'll see if the potential of enormous fines for drivers (something not done aggressively in other major American cities) changes the dynamic in Portland.